We are so excited to hear OWNTV and Oprah Winfrey will be sitting down with Tim Shriver to discuss his new book, #FullyAlive on, Sunday November 23rd at 10:00 a.m. CST! 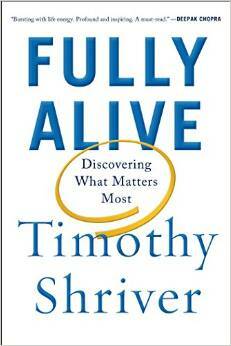 In his new book “Fully Alive: Discovering What Matters Most” Timothy Shriver, Chairman of Special Olympics Inc., takes us on a mesmerizing journey of self-discovery lead by Special Olympics athletes. Hope you join me and watch! Check out this sneak peek of the show here. Special Olympics Louisiana athlete, Sean Adams recently published a book titled, “I am Happy to Be Me”. In the book Sean talks about what life is like, growing up with Down Syndrome. He hopes that his book will show the world that people with intellectual disabilities can accomplish anything they set their mind to! Sean is a wealth of knowledge, strong Christian, great public speaker and wonderful member of the Special Olympics Louisiana family! To check out Sean’s book, buy a copy or download it digitally, check out Tate Publishing’s Website. We came across this video today and couldn’t wait to share with you! An expectant mother wrote an e-mail asking what her life would be like once she had her future son, who will have Down Syndrome. In response, the inspiring video you see below was created. We encourage you to watch the video and then share your thoughts in the comments section. 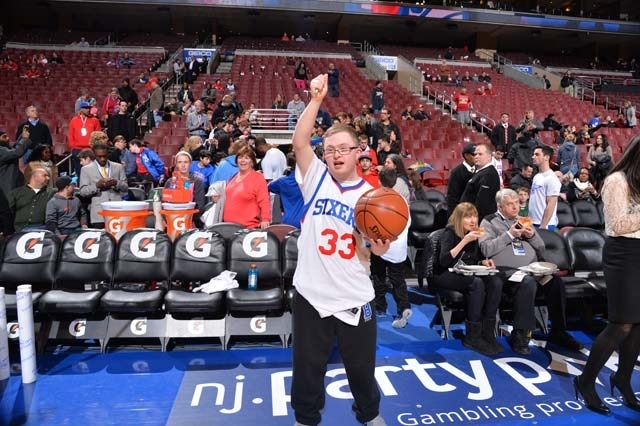 Kevin Grow of Pennsylvania Became a Philadelphia 76er & a Globetrotter!!! Check out the video of Kevin scoring below and read the article here.